Forthglade are on a mission to make your relationship with your biggest fan as nourishing as it can be. 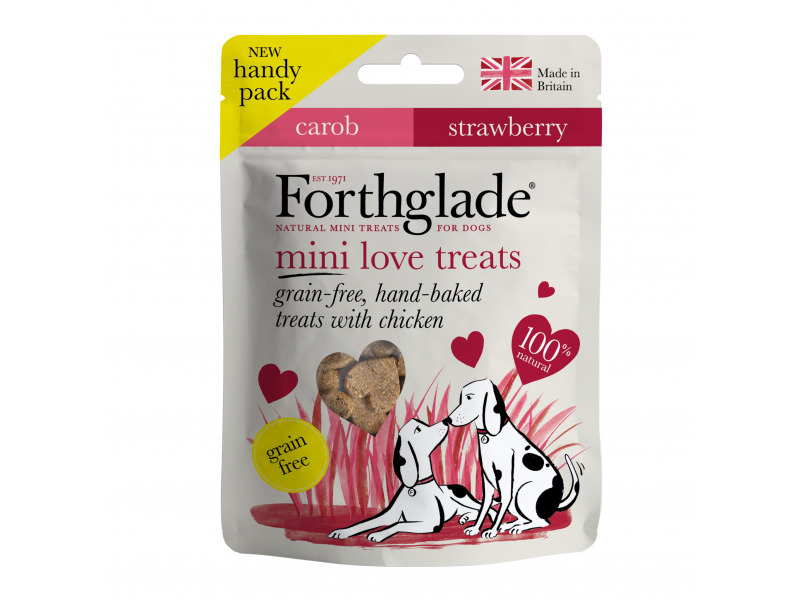 So they use no junk or fillers – just 100% natural, wholesome ingredients, hand-baked into tail-waggingly good treats. calming herbs - camomile and lemon balm, which may help reduce stress or anxiety. Skullcap – a soothing herb that may help calm dogs with a nervous disposition. prebiotics - chicory and MOS are both natural prebiotics, which may help to support an increase in ‘good’ gut bacteria. 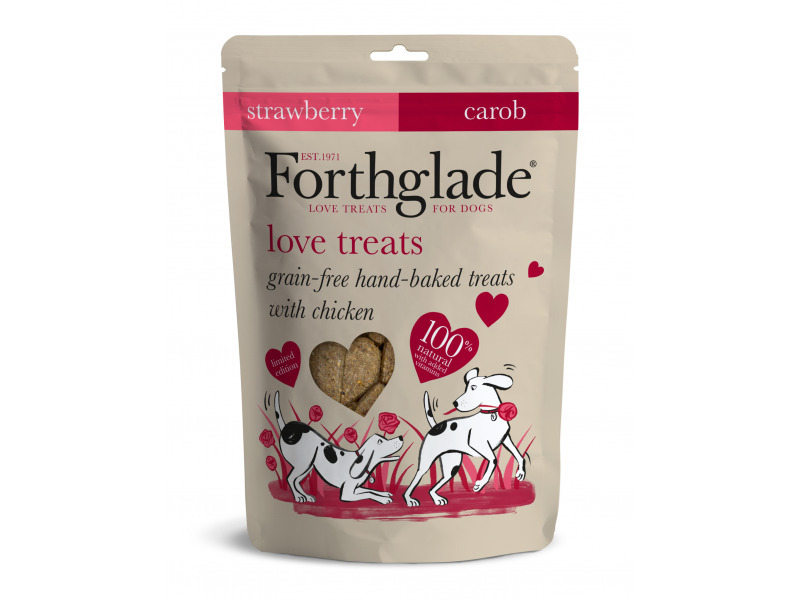 Feeding Advice: Treats are for special occasions, and should only play a small part in your dog’s balanced diet. Even if they use their most convincing ‘puppy eyes’ to try to persuade you otherwise. Composition: Chickpea Flour (27.5%), Sweet Potato (26.5%), Chicken Meal (25%), Chicken Fat (7.5%), Dried Pumpkin (3%), Seaweed (2%), Pumpkin Seed (2%), Linseed (1.5%), Parsley (0.5%), Nettle (0.5%), Rosemary (0.5%), Minerals, Camomile (0.5%), Chicory (0.5%), Prebiotic MOS (0.5%), Lemon Balm (0.1%), Skullcap (0.1%), Yucca Extract (0.1%). 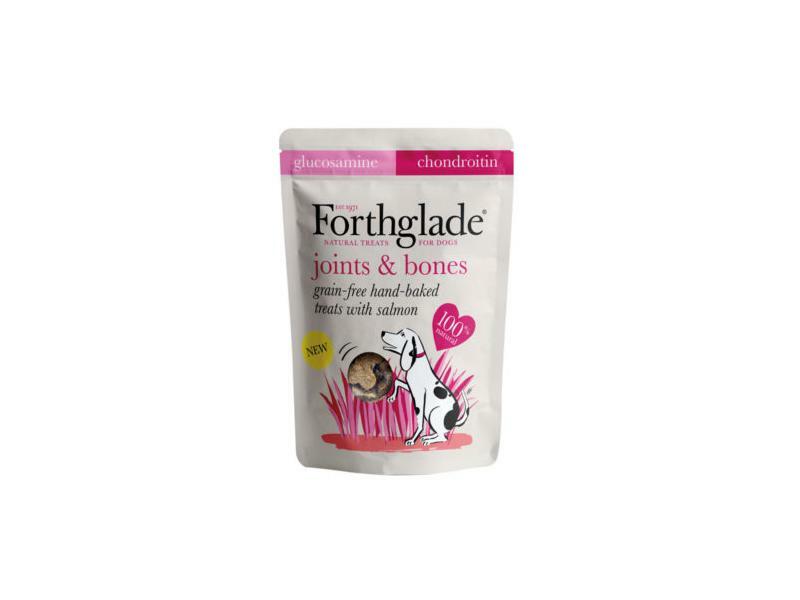 keeping joints healthy - we add glucosamine and chondroitin to this recipe, to help encourage healthy joints. Green lipped mussel has anti-inflammatory properties, and may help increase movement in arthritic joints. omega-3 - salmon is a great source of nutritious omega-3 and 6, which may help to improve immunity and encourage a healthy skin and coat. We also add linseed, another good source of omega-3. Composition: Sweet Potato (30%), Chickpea Flour (29.2%), Turkey Meal (25%), Vegetable Oil (7.5%), Seaweed (2%), Linseed (1.5%), Parsley (0.5%), Nettle (0.5%), Rosemary (0.5%), Minerals, Peppermint Oil (0.5%), Chicory (0.5%), Prebiotic MOS (0.5%), Yucca Extract (0.1%). 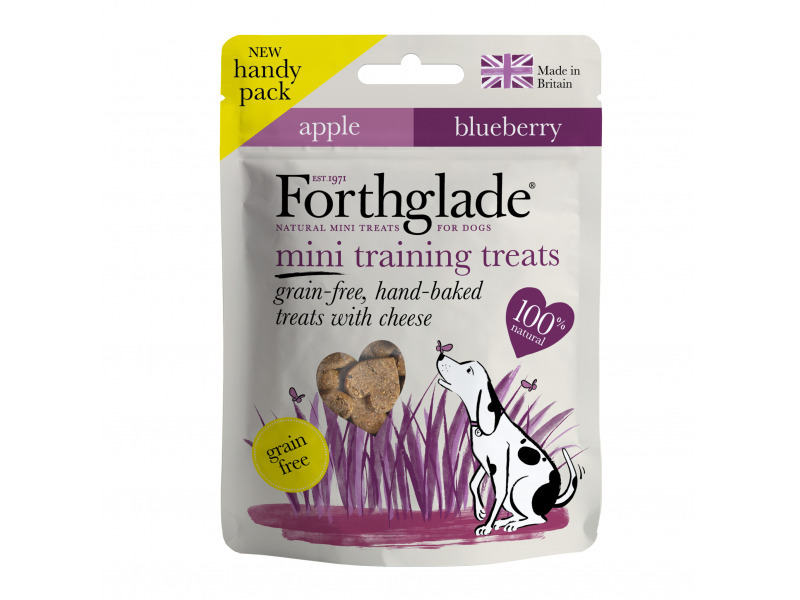 cheese - we’ve made this training treat as delicious as possible, to help encourage obedience and concentration. Analytical Constituents - Crude Protein 24.2%, Crude Fibres 4.5%, Crude Oils & Fats 11.9%, Crude Ash 8.6%. There are currently no questions for Forthglade Dog Treats - be the first to ask one!